Addonrock is all about creating great addons for Atlassian software. We are a team of dedicated professionals that aim to create exceptional products. AddonRock products are created based on the real needs of our clients. 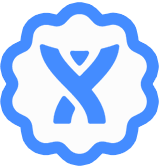 Filter out the products by features and add some rock to your Atlassian software! JQL functions for issue link searching including parent, subtask, epic links. Validators and conditions to check if your issue have a proper links. Advanced link visualization with new custom fields. Visualize issues on a simple timeline. Plan and schedule issues on a Gantt-like chart. Group your issues by any JIRA field. Easily make reversible changes and assignments. Manage your timeline permissions and many more! Find your JIRA issues by multiple criteria: full text search of attachments content, attachment name, extension or metadata. Filter your attachment view with our Attachment View custom field. Synchronize your Google Apps groups and users to Crowd. Authenticate your users using Google Apps passwords. Plugin allows you to download all attachments at once from all issues in search results. Save them as a zip file on a hard drive sorted by issue keys. Extend your JIRA with large library of custom fields to create unique experience for JIRA users. Issue link details, todo field, attachment list, shields, regex validation and more. Plugin (its free!) allows you to export JIRA issues to Google Drive. You can export them to Google Sheets or Google Docs. You can view, edit and share your documents with power of Google Drive. The Timeboxing (its free!) helps you control the time. The Timeboxing divides your issues for thirty minutes periods. Start your timer and go to work! We are thrilled that our clients enjoy using our products. Check our what our clients say about us and our products! I am pleased that authentication time is shortened when I use http / 2.0 for inquiries to Google Apps. Great add-in for displaying issue timelines. Love the functionality of being able to move the timeline to a different resource, along with a confirmation/audit log of changes made. Love the functionality but wish it was available to purchase through the marketplace. Revising rating: Apparently the marketplace gap is an Atlassian thing, not Craftware. A very helpfull add-on with just the right feature set. It helps us a lot in planning the task schedule of our team. Would definitely recommend this app + this support team !! Only plugin that works with Google Apps. Saves a lot of time!